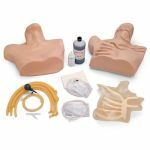 This manikin is designed specifically to teach the theory, anatomy, and skills needed to manage pre-hospital chest trauma, as well as ongoing chest tube maintenance. The right side of the manikin has two cut-away viewing areas to provide awareness of the anatomical relationships between the skin surface, musculature, ribs, and lungs. The left side has a pressurized tension pneumothorax site to relieve air that has accumulated within the pleural space and is restricting lung inflation. 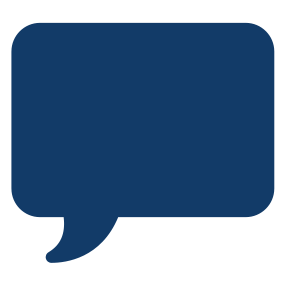 There is also a site where chest tubes may be surgically placed to treat pleural effusion by draining fluids from the pleural space. 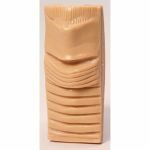 The fluid color, volume, and viscosity is controlled by the instructor. 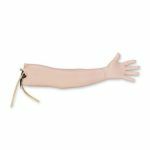 The Life/form Chest Tube Manikin is perfect for teaching the concepts and mechanics of closed water-seal drainage systems like “Pleur-Evac” type units. 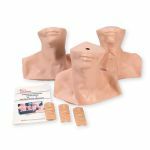 Manikin comes with two visual sites for chest tube For use with the Life/form Chest Tube Manikin (LF03770U) and Life/form Pericardiocentesis Simulator (LF03769U). Rotating pad allows multiple cuts to be made. 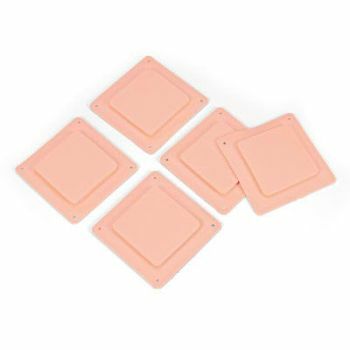 Package of 5. , five replaceable surgical chest tube sites, five replaceable pneumothorax chest pads, and hard carry case. 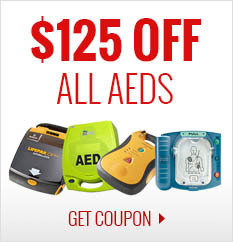 (Chest tubes or water-seal drainage system not included). Five-year warranty.